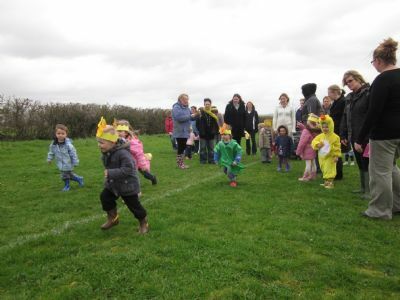 Walton under fives Pre-School has been running for 18 years. Since the year 2000 it has been based in Walton new village hall. This provides a great venue, with a spacious light playing area and a quieter room to the side. There is a fantastic range of equipment, toys and craft materials allowing access to the whole early years curriculum. Good use is also made of outside space including a special garden area as well as the local park and hard court. The Pre-School is run by dedicated, well qualified staff and has a low children to staff ratio. Each child has a named key worker who forges good links with the parents/carer. The Pre-school is open from 9 – 1pm four days a week & now takes children from two years old. The group has good links with the Walton community and the primary school next door.